Extend your locize experience with those additional services. The smart translation memory provides you with suggestions of already translated segments and helps you to save time and keeping your translations consistent. 1) The translation memory consumes the published files of a project which will be cleared as regular download ($0.0001 per download). Track all changes to your translations. Auditing enables you to track any changes done to your translations. It empowers you to prove anytime when a content fragment was changed. You can choose between a time to live starting from 3 months up to 10 years. The secure way to translate your project. With the service "locize crowdbased" you can create a new project on locize containing the untranslated strings per language and share them with the translators. 1) The additional projects for your translators are free - the only costs are based on the modifications done on the import back. Enable the slack integration and choose on of your slack channels to get notified when something noteworthy happens in your localization project. Directly order translations from our partners. Offers general translation services as well as more specialized translation, including financial, technical, and legal. Work in locize with our partners. We have been localising apps and web content into any language in the world since 2002. We take a human approach to translation with highly qualified professionals actually understanding your content before translating it, and extensive testing protocols to ensure your translated content reads and works as well as the original. Get a quote by directly sending a mail with exported namespaces to 101translations. Use the import feature of locize to import the finished translations back. We are a team of 150+ native translators and professional localization experts. Big and small developers come to us when they can't afford any mistakes. We don't outsource; we don't promise anything we can't deliver. There is only one price and one level of quality — expert. We even help correct your English! High quality translations and lower costs. Acclaro is a localization and translation company that helps the world’s leading brands succeed across cultures. Through a fine-tuned process, top industry talent and leading technologies, we make a long-term investment in our clients’ global reputations. Working in over 100 languages and with offices around the globe, Acclaro specializes in helping clients open new markets and gain a competitive edge by expertly adapting their brands, products and services with faster turnaround times, high quality translations and lower costs. You can request a quote here. Mars Translation is a professional language service platform with 17 years of experience in providing localization services & solutions for software apps, games and other industries. We execute translation and localization of projects while keeping quality, turnaround time and affordability in check & performing robust quality assurance for these projects. Backed by a team of localization experts, we make sure you localize into your target markets without losing your message in translation. You can request a quote by filling the Mars Translation quotation form here. You can also use the free consultation feature to talk to our localization expert. Alconost is a Multi-Language Localization Vendor with an impressive 14-year track record of helping companies take their products to the global market by localizing applications, games, websites, and virtually any other content into 70+ languages. At Leemeta we offer turnkey translations™ through our own in-house team. Our goal with every project is to provide our clients with an expert translation, complete with all graphical and technical aspects, requiring no additional effort on the client's part. We advocate a tailored professional approach, supported by the most advanced technology. Our motto is »Challenges, not obstacles« - a perfect reflection of the way we think and act at Leemeta. AD VERBUM is an ISO-certified professional B2B company that employs Human-driven Translation and Localization Services for Clients across the globe. 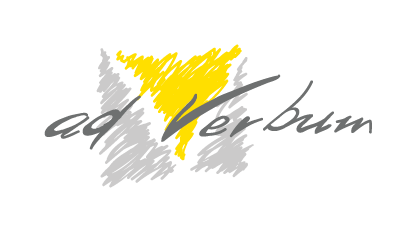 Established in 2002 and having experience that spans nearly two decades, AD VERBUM operates with 120+ language combinations, using standardized processes to ensure High-Quality, custom-tailored, transparent, and fairly-priced translation and localization solutions to meet Your specific linguistic demands. Please request your Free Quote. Get any questions you may have about integrating locize answered by one of our team members.